We are currently experimenting with Radio Vox Groovy—our very own Internet radio. 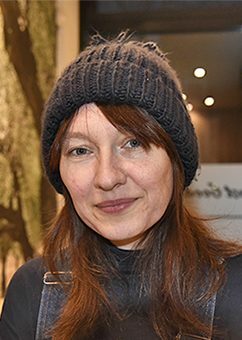 The programme is only available in the Slovak language, and it’s going to have to stay that way until we find more native English speakers who can read our articles aloud. However, we are very confident about launching an English version of these shows soon. For the time being, please enjoy the wide variety of musical genres we play on our station. With 70’s rock, game soundtracks and underground music—RVG is bound to have something you like the sound of. Lastly, if you understand the Slovak language, and have an interest in contemporary art, you should definitely come along and join in on the ongoing beta-testing. Whenever you ask, “what’s the top city for artists to live in?” There will always be a good number of people who’ll default to saying, “Amsterdam”. And there’s a myriad of real reasons for that. After all, the city houses the Van Gogh Museum, Rembrandt’s The Night Watch, and even Guerrilla Games, the AAA studio with one of the game industry’s strongest art departments. It’s a city that’s brought change into many artist’s lives, and as it happens, one of those artists is Thomas Rohlfs, a thirty-five year old freelance illustrator. 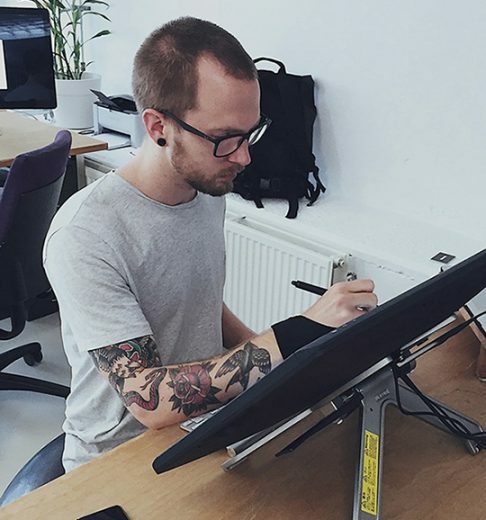 Rohlfs is an illustrator we first found on Behance, but what made him interesting is that he’s been building a community on Twitch since December 2018, and judging by their quirky inside jokes, it’s a pleasant environment. See, when Rohlfs was in his twenties, he gave up drawing in favor of graphic design, but that all changed when talented illustrators like Timo Kuilder started showing up in his studio in Amsterdam and their skills inspired his desire to get back to drawing again! “They really inspired me, and I found the urge to draw and become stronger again.” he says. Since then, his style’s gone through many changes, and we’ve been allowed to see it all unfold thanks to his newfound passion for livestreaming. In this exclusive interview, you’ll hear about a very important realization each artist needs to arrive at, the ups and downs of Rohlfs’ journey, as well as a couple of general observations and fun facts about his ever-changing music taste. Here’s hoping that you enjoy it! 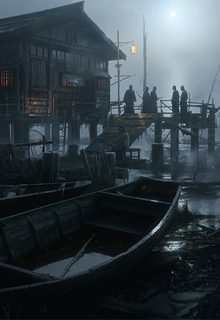 E3 is one of the biggest events in the games industry, so we’re sure you’ve all seen the Ghost of Tsushima gameplay reveal when it was first shown. It’s a visually striking action-adventure game set in 12th century Japan—putting you in the shoes of one of the few samurai who survived the Mongol Empire’s invasion of the island of Tsushima. The players have to “become the ghost” in order to fight for the freedom of the island’s people. The art department over at Sucker Punch Productions did a fantastic job, so RVG got in touch with Romain Jouandeau, a French concept artist who’s currently working on key-art for Tsushima. Prior to his move to Seattle, Romain worked on an unannounced project with Warner Bros Games. He then decided that he wants to move over to the US so he reached out to Sucker Punch and got a job there! Those who frequent ArtStation will also remember the high-end environment concepts he produced for Detroit: Become Human (2018). We know it goes without saying, but given his work history, it’s no surprise that he’s often given the opportunity to work on the key-art for AAA games. Romain has a background in fine-art so there’s no over-reliance on digital tools, it’s all hard-earned technical knowledge. This is an amazingly talented artist, and if you want to know more about what it’s like to be an up-and-coming concept artist in the games industry, then be sure to check back for when we publish our exclusive interview with him.